An early post in this blog was devoted to Richard James’s chess and music posts. 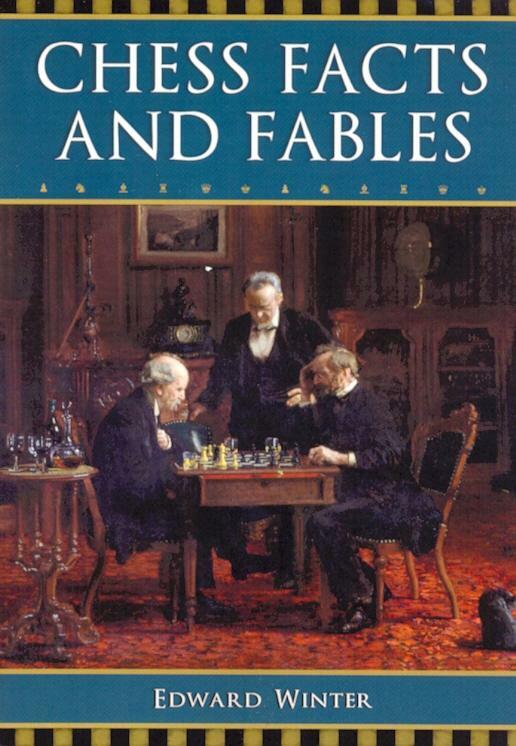 Another fantastic resource for the subject is found among the immensely capacious Chess Notes, started in 1982, written and curated by Edward Winter, probably the most reliable, certainly the most meticulous chess historian of today (or indeed any other day). Winter’s speciality is uncovering nuggets of information among the pages of chess journals and magazines, often going back into the nineteenth century, and many of them all but inaccessible today outside of personal collections or specialist chess libraries. This article is no different. Nowhere else could I have found a reference to ‘Mendelssohn as a Chessplayer’ (in the Chess Player’s Chronicle, 22 November 1881, page 565). Nowhere else could I have discovered that the famous Russian-American violinist Mischa Elman boasted of his ability as a chess player on page 266 of the June 1916 Chess Amateur. Sensibly, Winter’s article excludes material relating to François Danican Philidor, although he does permit himself a mention of a recording of a military march by Philidor’s dad, André Danican Philidor. Actually, one could find a lot of music by relatives of the great chess theorist, quite apart from the fact that he is himself the most celebrated composer of the family. The Philidors were an extensive dynasty of French court composers in the seventeenth and eighteenth centuries, including the chess genius’s half-brother Anne Danican Philidor (yes, a brother called Anne — explained by the fact that he was ‘named after his godfather’, according to The New Grove Dictionary of Music and Musicians) who in 1725 founded the Concert Spirituel in Paris, one of the very first public concert series. Anyway, Winter’s article is full of treasures, going well beyond the obligatory mention of Prokofiev (who gets his own article anyway), and even has several musical scores reproduced as images — a Caïssa Waltz, a Schach-Marsch, even a Lament at the Tomb of Paul Morphy. Perhaps a concert of chess-related music would be a good fund-raising idea for impoverished local chess clubs. Click here to enjoy Chess and Music by Edward Winter (last updated November 2018). Click here to enjoy Sergei Prokofiev and Chess by Edward Winter (last updated September 2014). Click here to enjoy CHESS The Musical by Edward Winter. I’m currently reading a book ‘One on One’ by Craig Brown about meetings, some by chance, between key 20th Century figures, so it’s interesting to read about Prokofiev playing against Capablanca and congratulating him on his win against Lasker. One of the meetings in the book is between Sergei Rachmaninov and Harpo Marx – quite amusing as they don’t get on at all and Harpo eventually drives Rachmaninov away by repeatedly playing the first four bars of the C sharp minor prelude, on his harp.